- Top Notes: Bergamot - Grown in Calabria, this citrus is a cross between Seville orange and lime. The zest is cold pressed to produce an essential oil with fresh, energising notes. - Heart Notes: Transparent Musk -Originally sourced from animals, musk is now used in synthetic form. Its powerful presence gives the fragrance an intoxicating yet soothing sensuality. - Base Notes: Mate - The scent gets its vitality from the leaves of this herbaceous plant, which mainly grows wild, in Brazil. There, its essential oil is extracted using volatile solvents, before the codistillation of its leaves. Explore the entire range of Perfumes (EDT & EDP) available on Nykaa. 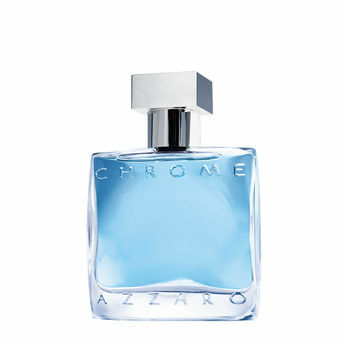 Shop more Azzaro products here.You can browse through the complete world of Azzaro Perfumes (EDT & EDP) .Alternatively, you can also find many more products from the Azzaro Chrome Eau De Toilette For Men range.